Everything you should eat, see and do while visiting the largest urban area on the East Coast. The capital of Nova Scotia boasts an impressive natural harbour and has always been considered a strategic spot, militarily speaking. But that’s not the half of it! Halifax is urban with rural close by. It has a sparkling cultural scene but it still small enough to be friendly and affordable. In other words, it’s the best of both worlds, between city and rural life. What’s most impressive about Halifax is the love the city has for its history, both maritime and otherwise: this attention to the city’s past is in everything that there is to see and do there. The Foggy Goggle – gastropub with no deep fryer and all fresh ingredients, including lobster mac and cheese, root beer ribs and their own Goggle burger. The Black Sheep Restaurant – two chefs, one restaurant, all the good, fresh ingredients to make things like breakfast poutine, or an old favourite when you’re feeling down: grilled cheese and tomato soup. Made with asiago and beemster gouda, this isn’t your mom’s grilled cheese. It’s better. The Stubborn Goat – a gastropub with a second ‘beer tent’ waterfront location that operates seasonally… The rest of the time, feast on a lobster clubhouse, chickpea fritters, salads, burgers and delectable pizzas. Bramoso Pizza – speaking of pizza, and no offence to the Stubborn Goat but the insiders say the best pizza in the area is here. Everything from a classic Margherita to something called the Gladiator! Interested? Darrell’s Restaurant – voted in for best burgers and milkshakes, this diner style eatery takes quality seriously. They roast their turkey and chicken, used in their recipes, daily. The burgers are certified Angus beef and the cheese is real, not processed. All tasty and all affordable. A visit to Citadel Hill and Fort George offers the most impressive vistas of the harbour as well as an important reminder of the historic military importance of Halifax harbour. The historic site includes tours, watching the sentry change, ghost tours and more! You can even become a soldier for a day, wear the uniform and experience what life would have been like for a Citadel soldier in the mid-nineteenth century! The Halifax Waterfront boasts a lot to see including upgraded historic buildings and the famous Seaport Farmer’s Market, which boasts the title of being the longest continuously running market in North America. Created by proclamation in 1750, the market has had several locations in its many years of operation but it’s current one is the biggest yet, with over 250 vendors! 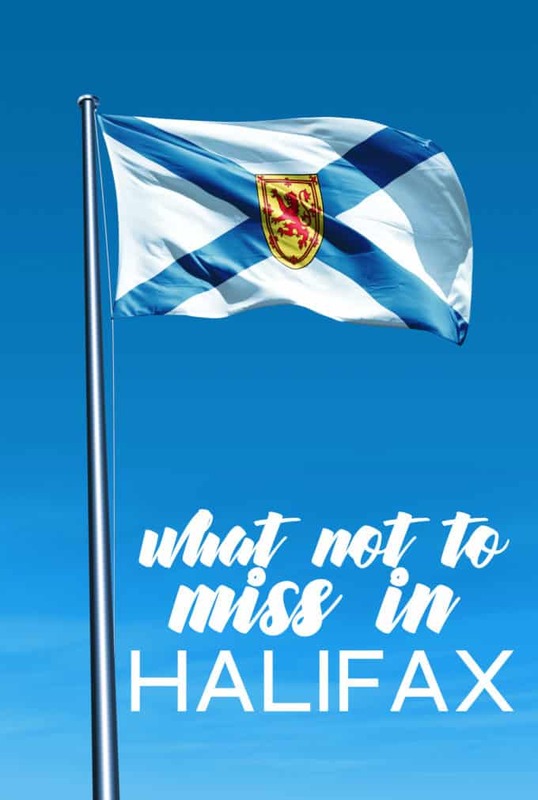 Music, art and culture abound throughout the summer months, with events like the Halifax International Busker Festival arriving in town in August, the Atlantic Film Festival’s Outdoor Film Experience and the TD Halifax Jazz Festival being just a few of the headliners. History buffs will enjoy the Maritime Museum of the Atlantic to learn about much of Halifax’s history including the Franklin Exploration, the Halifax Explosion (1917) and even see artifacts related to the sinking of the Titanic. If the latter is of particular interest, you can wander further afield to the Fairview Cemetery to see where over 100 Titanic victims are buried. The sinking of the Titanic was an unparalleled moment in Canada’s maritime history that is worth acknowledging. Pier 21 – The Canadian Museum of Immigration, where you can learn all about how Canada was built, with one in five immigrants arriving in Halifax, at Pier 21 (between 1928 and 1971): it’s a look into the past, with a view to Canada’s future. Understanding what it was like to immigrate to Canada in the past, and experiencing some first person accounts, gives insight into the future of this country that is a living history lesson for all to enjoy. Take the Harbour Hopper on a tour of the city and a dip in the ocean, thanks to the amphibious vehicle, a treat that will thrill kids of all ages! The narrated hour long tour delves into the history of the area, including the Halifax Explosion and Halifax’s role during the wars. You’ll get a view of the all of the city’s major landmarks, including Citadel Hill and the Public Gardens before taking that dip to see the beautiful skylines and the Halifax harbour. Or take a different kind of tour of the harbour aboard Theodore Tugboat , a working model of the boat from the children’s television series that was popularized in the the late 1990s. The tour brings Theodore and the harbour alive for kids, in a way that entertains and informs! A tour of Alexander Keith’s Brewery is interesting and, despite being beer related, family friendly! The brewery was established in downtown Halifax in 1820 and it stands there today, restored and improved for visitors to learn about the process and take in a little history while you’re there. Whether you spend all your time in historic Halifax or head along the coast to Mahone Bay, Peggy’s Cove and Lunenburg, you won’t be disappointed in the masses of things to see and and do (and eat!) in the area! Do you have a favourite spot in the Halifax area? Care to share? Halifax sounds like a great place to visit, I love it when places are proud of their history and show it too. I lived in Halifax for about a year when I was younger and loved it. Would definitely be nice to take a trip there one day. I have been to the east coast a couple times but never Nova Scotia. Lots to do there I see, never heard much of halifax, eye opening post. This is a great post! A stroll through the Hydrostone area is also a must when visiting Halifax! Located in the North End, you’ll find artisan gift shops with locally handmade goods, Julien’s bakery for fresh bread, the best sushi in the city: Hamachi Kita, a beautiful flower shop, and our favorite pizza place: Salvatore’s. Plan a trip to Nova Scotia! It’s an amazing province.